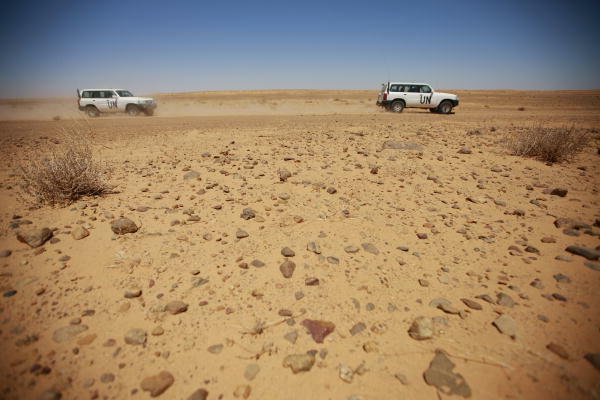 The UN Security Council held consultations on the Western Sahara yesterday, one of the two times each year it addresses the important – and often forgotten — issue. Hervé Ladsous, Head of the Department of Peacekeeping Operations, Christopher Ross, Personal Envoy of the Secretary General for the Western Sahara, and Kim Bolduc, Special Representative and Head of MINURSO, briefed the 15 member states on the current status of the situation and negotiations – or more likely the lack thereof, given the current impasse. There was no public statement on the consultations, but one can only hope that the testimony offered a wake-up call to the Polisario Front to engage in serious and realistic negotiations to resolve the Sahara issue. The bottom line is, there has not been a single round of formal negotiations between Morocco and the Polisario Front since 2008, when Peter van Walsum, the former Personal Envoy of the Secretary General for Western Sahara, issued his bracingly honest report calling for the next round of formal talks to focus only on a real solution based on autonomy under Moroccan sovereignty. The US has supported that approach for years – through three presidential Administrations (Bill Clinton, George W. Bush, and Barack Obama), clear statements from Secretary of State John Kerry, and bipartisan backing in the House and Senate for both a solution based on autonomy under Moroccan sovereignty and the Moroccan Autonomy Initiative. Unfortunately, this has not translated into a renewed process at the UN, where Christopher Ross continues to engage in “shuttle diplomacy” in the hopes of breaking the impasse, and the Polisario continues to stonewall on the issue, refusing to compromise and choosing instead to threaten the whole process with regular calls to resume armed conflict. Unsurprisingly, neither strategy has advanced a resolution of the conflict. And the regional security situation is not getting any better either, once again reinforcing the need for a realistic solution to advance regional cooperation, stability, and peace. A solution based on autonomy under Moroccan sovereignty is the only offer on the table right now that offers such a realistic solution. Formal negotiations based on this can and must start anew with political will from the stakeholders, most notably the Polisario, and the Personal Envoy. It needs to be done for the people languishing in Polisario-run camps; it needs to be done to reunite families; it needs to be done for regional stability and security. And it needs to start now.